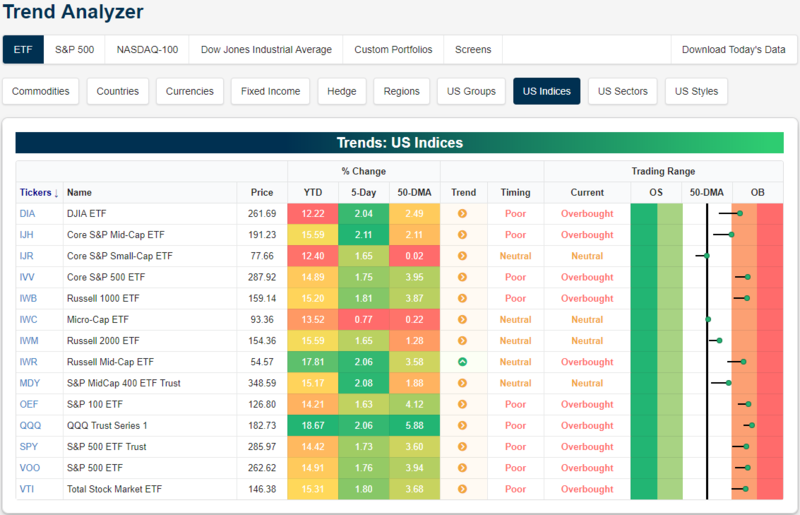 After what was pretty much a flat day yesterday, there is one more major index ETF (MDY) that has shifted back to neutral from overbought territory. While most small-cap ETFs have seen lesser gains than their large-cap peers, the Micro-Cap (IWC) has continued to underperform in dramatic fashion gaining only 0.77% in the past week. One trend that has been noticeable in the charts is the underperformance of small caps since March. While large caps were consolidating and are now breaking out to new highs, their small and mid-cap peers were making lower lows and are now just breaking out of short-term downtrends.